Get this mod plus size Trippy Trixie costume from Leg Avenue and show everyone your far out moves at your next 60s theme event. 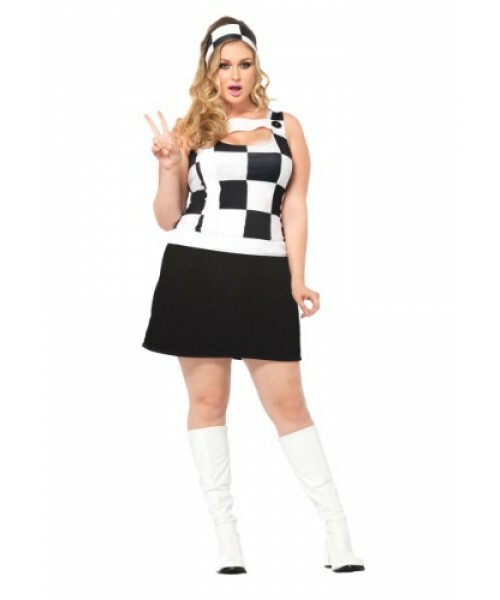 Get gorgeous and groovy at the same time in this plus size Trippy Trixie costume. This go go dress will get you going on the dance floor and whether you know all the right moves or not. It's retro look that is too much fun to miss out on!